Keynote speakers are an integral part of any gathering. A good keynote address must inspire and unite the audience towards a common goal. The speaker must clearly define the event’s direction. This will set the tone for the occasion, which could open the program with clarity. 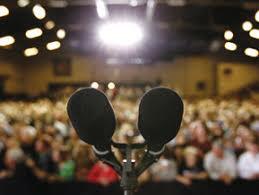 A lot of keynote speeches simply promote the speakers instead of the event itself. The mere fact that the speaker has been chosen to deliver the keynote address means the organizers believe in him. The keynote address must be memorable, inspiring, and realistic. An effective speaker knows at which point to make contact with the audience. By assessing the audience properly, he can establish credibility, connection, and attract attention. Underestimating the audience might cause boredom, and overestimating them might result in confusion. Good keynote speakers would firmly work with the event organizer, so they would know everything about those they will be talking to. Humor can make a speech better, but inappropriate humor can be uninteresting and even offensive. When humor and stories are properly presented, the message could be widely accepted. A lot of speakers share information excessively. A keynote speech must have accurate information and images could help emphasize an idea, but complicated tables and figures can make the message boring. The best keynote speakers use only a few visuals and allow their words carry the most meaning. 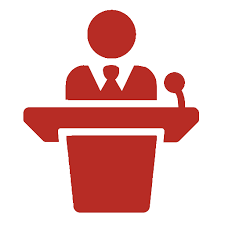 Most keynote addresses are between 20 to 45 minutes. Pacing in delivering the speech is actually more important in length. A frantic speed will tire out the audience and a sluggish, painstaking speed will make them sleepy. Variety can liven up the atmosphere and in terms of delivering a keynote address, a variety of pacing is crucial. A good speaker knows when to intensify the talk and when to relax a little to keep the audience interested. Also, the keynote speaker must have a conclusion and inspire the audience with final words. During the keynote speech, the speaker must build a connection with the audience. Trust must be established and the best way to do it is to share personal thoughts. This way, the audience will see that the speaker is a real person with emotions, lessons learned, and life experiences. When the speaker personalizes the segments of his keynote speech and is passionate about the theme, he’ll have a better chance of getting the message across. Most keynote speakers would honestly admit that they do not know everything, but they can offer valuable information. A successful keynote speech means the audience has at least one takeaway from the speaker. The speaker must establish some ideas at the onset and elaborate them throughout the speech with opinions, personal stories, and facts. Effective keynote speakers normally leave their audience with techniques wherein they can fit the messages into their business or personal lives. The messages often have a personal when the keynote speaker leaves the audience with a few questions, which they have to answer on their own. This way, every individual could use a personal approach in finding answers. Whether you’re aiming to deliver a keynote or you’re looking for someone capable of accomplishing such a feat, you need to keep these characteristics in mind. Simply put, you’ll have to use them as your guide. I read your blog, it’s very useful and informative! 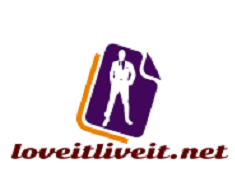 I have also checked your website http://www.motivational-speaker-success.com and I want to hire a motivational speaker.